Thank you for your interest in the Grand Forks Public Schools Alumni Network! Joining the Alumni Network provides you with the opportunity to stay in touch with cherished classmates and keep up with what’s going on in Grand Forks and Grand Forks Public Schools. 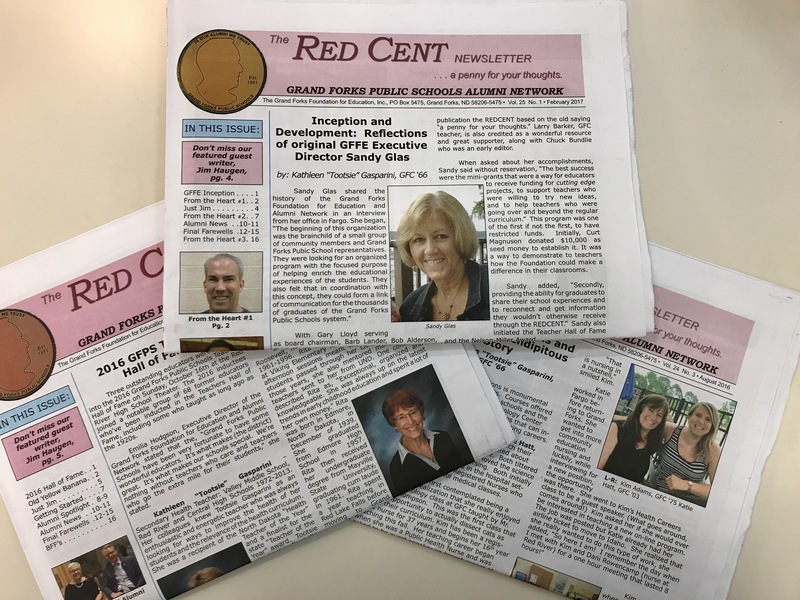 Your membership includes four issues of the Red Cent newspaper annually. The Red Cent publishes feature stories about graduates and how they’ve grown into successful professionals. 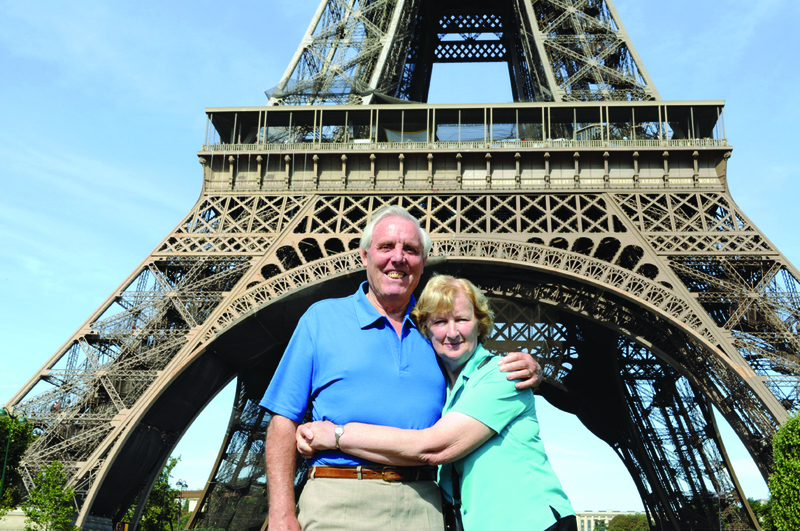 You’ll hear from guest writers who share their memories of growing up in Grand Forks. And, it will help you keep up with classmates as they submit their alumni updates. In addition to your membership, when you add an extra donation, you help the Foundation on our mission to support our students and schools with enriched opportunities, grants, and scholarships. **To give a gift of membership to a friend or family member, or for any other special circumstances, please contact Laura Schweigert at (701) 787-4867 or lschweigert060@mygfschools.org, for assistance.